They’ve taken a 31 foot long vintage Airstream Land Yacht RV and turned it into The Cuban Missile – a mobile cigar lounge available for rent. 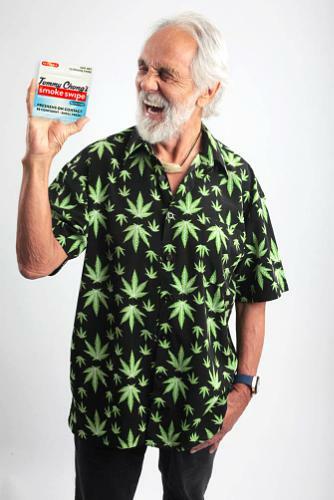 Following a successful stint on “Dancing with the Stars”, legendary cannabis activist, pop culture icon, and Grammy award-winning comedian Tommy Chong reveals he is back to his roots as a pioneer in the cannabis industry with the announcement of the launch of Tommy Chong’s Smoke Swipe, the breakthrough product designed to swipe away the smell of cannabis and tobacco odor on clothing. Tommy Chong’s Smoke Swipe is available for $10.99 per 3-pack at www.chongswipes.com and will be landing in head shops and dispensaries nationwide in the coming months. Launched in 2014 after Founder and CEO Ben Kusin realized there was a niche in the market for a hassle-free solution to keeping clothes and hair smelling fresh on the go, Reviver Clothing Swipes have quickly become a hit with smokers and non-smokers alike. Reviver comes in several variations including the Reviver Clothing Swipe, Spark with Pheromones for Him and Her, and the Reviver Pets line. For more information on Reviver, please visit www.reviver.com.